Para Space is a multiple award winning industry leader in landscape maintenance. We provide comprehensive and consistent services for strata residences, commercial properties, and public green spaces. Quality maintenance helps protect your investment, as well as preserve the beauty and function of your landscape. 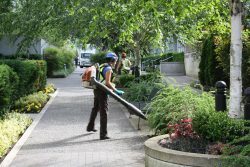 We boast the most accredited staff of any landscape company in BC. All plants will be cared for and pruned by qualified and professional horticulturists. Our proven program will keep your garden beds looking clean, crisp, and fresh. Shrubs and trees will be pruned in a horticulturally sound fashion. Our turf grass management program goes well beyond keeping lawns cut. We also take care of aeration, dethatching, and provide custom organic fertilization programs including pH balancing. Our cutting edge, ecologically sound pest management programs are an instrumental part of keeping your lawns lush and healthy. One of the major keys to our success is proactive communication which has led to many long term relationships with our valued clients. 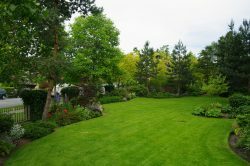 We provide one contact from Para Space who will manage your landscape on a proactive basis. Reports from regular inspections will keep you updated on our service and include items for your consideration.